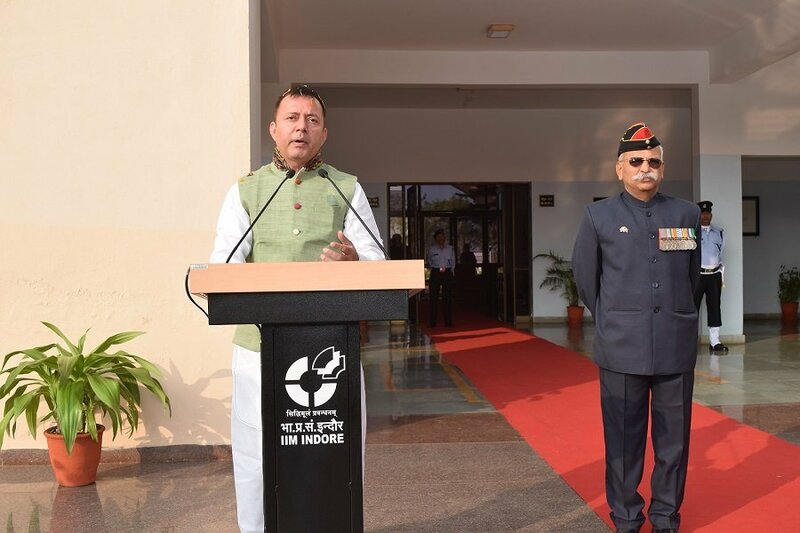 IIM Indore community celebrated the 70th Republic Day with great patriotic fervour and enthusiasm on January 26, 2019. On this occasion, the IIM Indore community—participants, faculty and staff members along with their family gathered at the Central Lawns. The celebration began with an address by Col. Gururaj Gopinath Pamidi (Retd. ), CAO, IIM Indore. 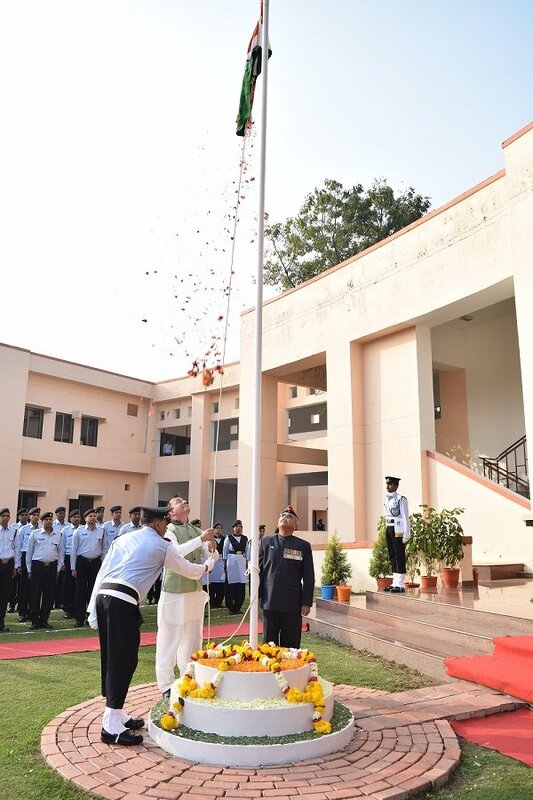 This was followed by a flag hoisting ceremony by Professor Himanshu Rai, Director, IIM Indore. 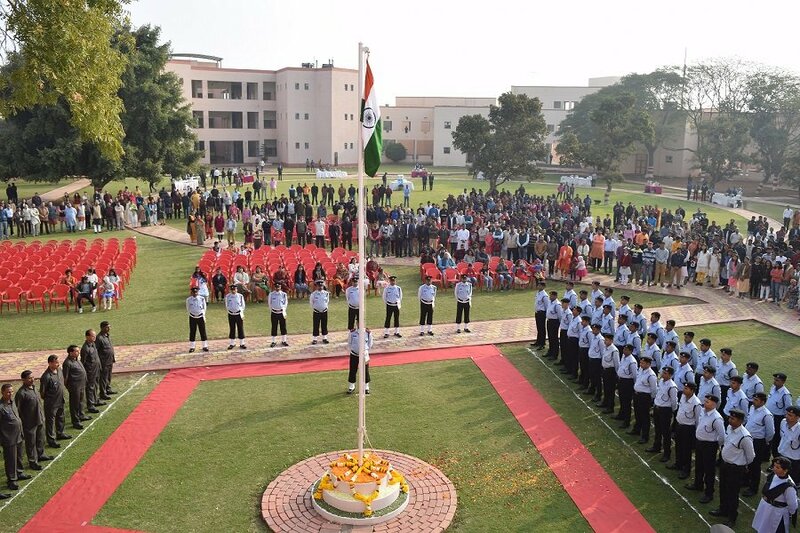 The Academic Block then echoed with patriotic harmony and rhythm of the National Anthem sung by the community. 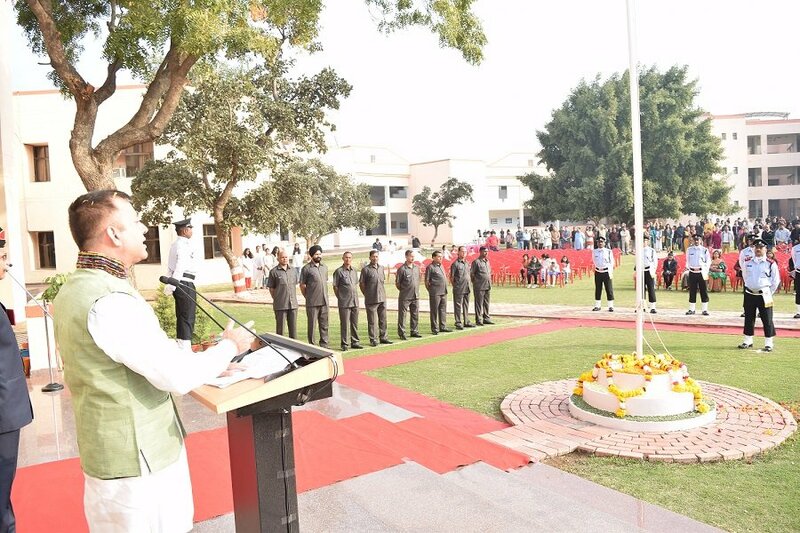 Professor Rai delivered the Republic Day address and expressed that today, on the occasion of the Republic Day, it’s time to see what’s happening in the country—positive and negative both, and also in the Institute; and contemplate on what needs to be done. 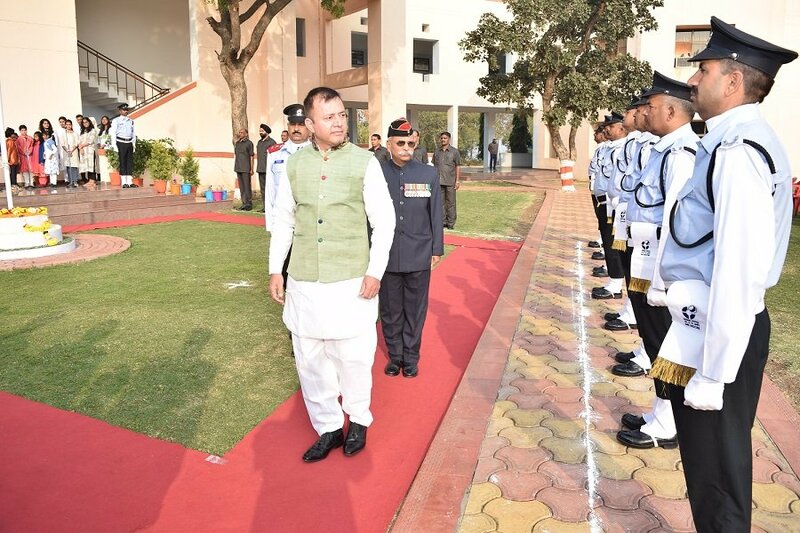 He reminded the participants about the fundamental duties laid down in the constitution, about respecting the national ideals and that similarly, as a student, one must respect and uphold the institution ideals, as laid down in the student manuals. 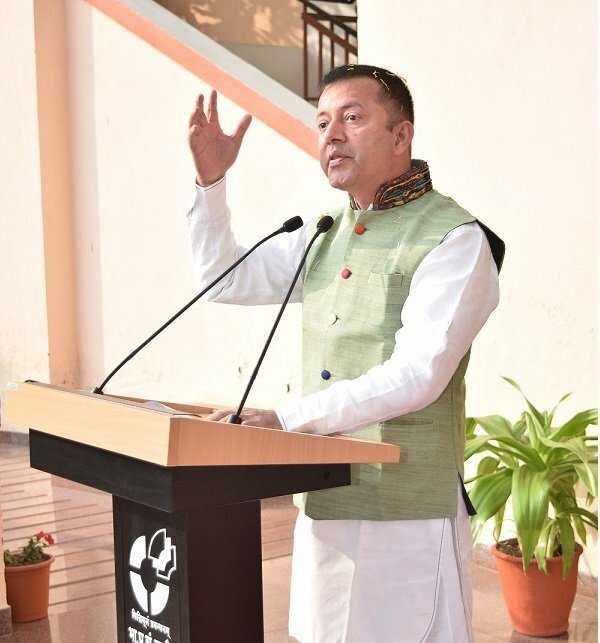 He talked about the importance of issues prevailing in society from women safety to non-violence; from global warming to compassion for animals. 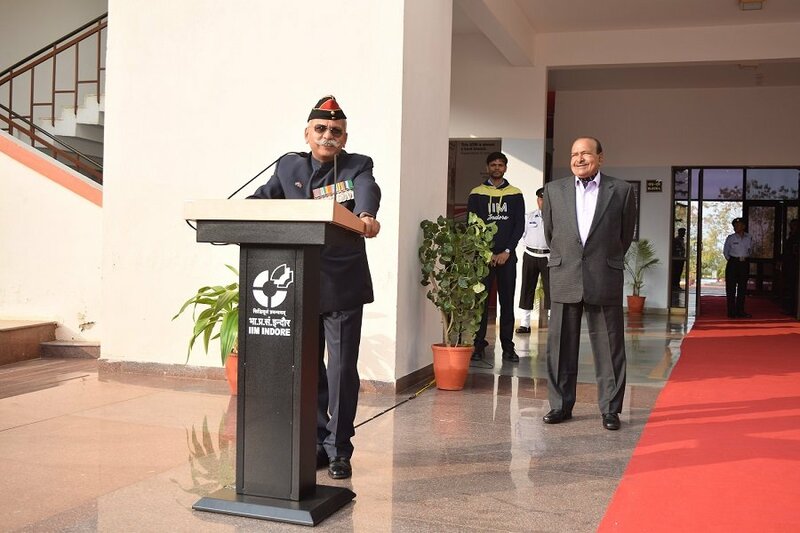 In the end, he encouraged the students to see themselves as an integral part of this Institute and to always act as one unit, keeping in mind what’s good for the institute and always be ready to serve when the institute, or the country, needs their service. The celebration concluded with high tea for all.